Twitter has transformed the way information is reported on and engaged with around the world. It has contributed to the democratisation of access to news and events in innovative and dynamic ways. Every single person has the potential to tell the world what's happening in their village, their town, their city, and their community. There are fewer barriers to full participation in the global conversation. While we firmly believe in the power of open, public conversation, the speed of the Internet presents unique challenges around media literacy and information quality. Building public capacities to analyse and discern what is and is not quality material is vital. As the European Commission says, a high level of media literacy is a key factor to enable citizens to make informed decisions in the digital age. This week marks the first ever #EUMediaLiteracyWeek, a new initiative driven by the Commission to promote skills required to navigate an increasingly complex information environment. Twitter is pleased to play its part in supporting and celebrating this important event. Twitter’s open and real-time nature is a powerful antidote to the spreading of all types of false information. Journalists, experts and engaged citizens tweet side-by-side correcting and challenging public discourse in seconds. However, we do not rely on user interaction alone. We are continuing our engagement with young people. Last week, we hosted secondary school students from across Dublin who participated in the School Digital Champions programme, an initiative of the Department of Communications, Climate Action, and Environment. We talked to them about digital citizenship and the increasing importance of media literacy skills. We are partnering with CLEMI (@LeCLEMI) - the Liaison Center for News Media and Education. We will be highlighting their students’ work from @TwitterFrance and, later this month, we will host 60 students in the Paris office to discuss the representation of women in sport by analysing Tweets from various sources. At the event, we will be joined by a sports journalist, a teacher, and an Olympic basketball player. Last week, we participated in an event for platforms to highlight media literacy initiatives, as well as the implementation of the AVMSD and how it can have a positive impact on media literacy capacities. We have awarded Ads for Good grants to some of our closest nonprofit partners. Shout Out UK runs political and media literacy programmes in schools and colleges and will amplify their Media Minded content with this Twitter campaign. Bite the Ballot will reach out to young people on the service and survey them on their civic literacy. We’ll also be running a Tea, Toast and Tweeting session to support senior citizens in their use of Twitter. Twitter is delighted to have a fruitful partnership with UNESCO, which includes media and information literacy. 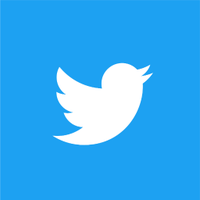 Later this year, we will publish a co-branded educational resource, Teaching and Learning with Twitter, which includes expert guidance from UNESCO on media and information literacy best practices for educators of all kinds. In the meantime, UNESCO publishes a great range of helpful information on media and information literacy on their MILClicks account. This includes: 13 points to help detect disinformation online; how misinformation can be spread through the use of ‘false experts’; why ‘disinformation’ is preferable to ‘fake news’; the common traits of propaganda; and some helpful tips on phishing and monitoring your cookie trail. No single actor, organisation or institution has the capacity to enhance media literacy skills across Europe. For our part, we look forward to developing our collaborative partnership with UNESCO and other relevant partners, while continuing to raise awareness of media literacy and give prominence to credible information across our service.